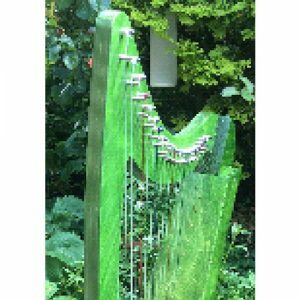 Made in Derbyshire, this 20 string harp is perfect for younger students, or as a very portable travel harp. It is sturdy, lightweight, and can even be upgraded with sharping levers as the student progresses. We install levers in our Devon workshop, sometimes on the same day. Complete with tuning key. Padded bags are available at £49.50 each. 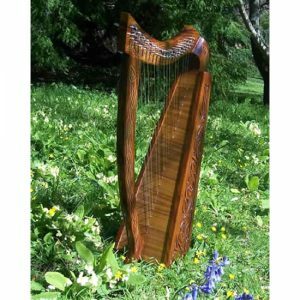 This 19 string mid-east made rosewood harp is unlevered and light to carry, and comes complete with nylon carry bag, tuning key and spare strings. 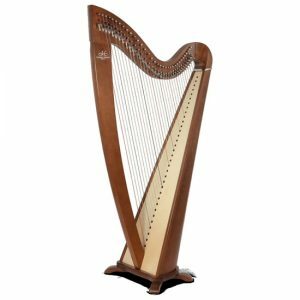 By far the most popular harp in our shop, most harp students find this a very affordable way of buying their first harp, with the option of upgrading to something larger at a later date. 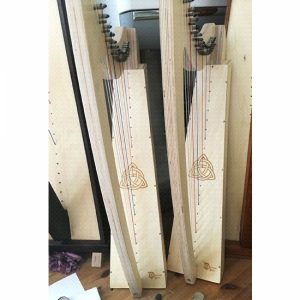 Height: 30” Weight: 9lb Tuned from ‘F3’ (‘F’ below middle C) up to ‘C6’. 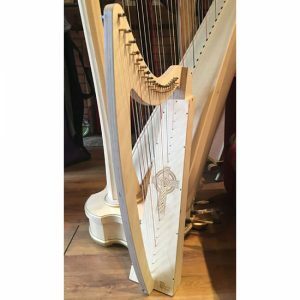 This 22 string mid-east made harp is fully levered* and larger than the Rothesay, and comes complete with nylon carry bag, tuning key and spare strings. 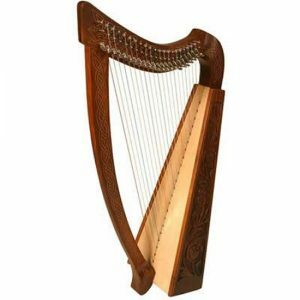 A good choice for students who need to reach lower ‘C’, although not quite as portable as the smaller 19 string Rothesay. 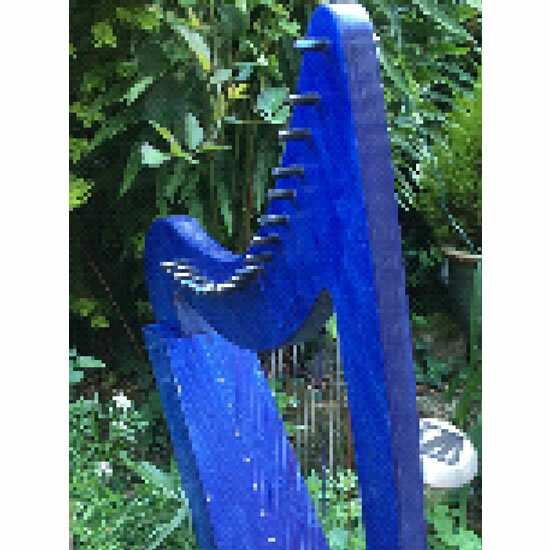 Height: 36” Weight: 11 lb Tuned from ‘C3’ (‘C’ below middle C) up to ‘C6’.